Gerhard Daum is a German multi-instrumentalist who’s composed music for film and TV, as well as toured through Europe with his jazz and rock ensemble called Gerhard Daum Quartet. 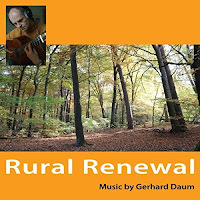 Having formerly lived and travelled in the United States before returning to Berlin, Daum’s latest album, Rural Renewal, draws its inspiration from both the natural scenery and personal experiences of having lived in both countries. An acoustic ensemble album in the contemporary instrumental genre, the compositions incorporate guitar, violin, piano, midi-keyboard and computer programming throughout – with Sarah Piorkowsky and Till Handrick providing additional violin solos on a couple of tracks. Comprised of twelve, all-instrumental compositions spanning approximately thirty-four minutes, most of the songs clock-in at under three minutes, while all them are less than four minutes duration. “Best Friends” initially opens the album with plucking keyboard effects that soon unfolds into a festive and warmly upbeat ensemble comprised of acoustic guitar, violin and drums, as a picturesque overview of woodlands and countryside immediately springs to mind. Following next is “Indian Summer” – a slower-paced number and one of my favorites. Here a warm, echoing twang is emitted on the guitar, as it beautifully blends among accompanying violin and a smoothly steady drumbeat. The title piece, “Rural Renewal”, ensues with more classical-tinged guitar and violins that jointly lend it a subtle renaissance flair, as thundering distant drums seemingly feel evocative of travelling along a winding mountain road. Songs like “Gentle Rain” and “Smooth Sailing” skew a bit more exotic with their subtle world percussive undercurrents and romantic Mediterranean overtones. In subtle contrast, other pieces such as “Heartland” and “Early Sunrise” are seasoned with more Americana flavors that’s characterized by twangier guitar licks and steady soft-rock rhythms, as classical strings imbue them with a touch of graceful elegance. 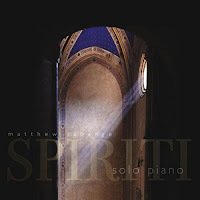 Matthew Labarge is a pianist and composer who’s released several previous albums. Described as his “most intimate and personal to date”, Labarge’s latest offering, entitled Spiriti, features twelve reflective solo-piano compositions spanning approximately sixty-three minutes. Appropriately depicted by its beautiful artwork, the music herein is likewise contemplative and oftentimes reverent in nature. “Spiriti” is a thoughtful opener that gently moves along at a moderate-pace in the mid-range, as Labarge injects bolder touches along the way. “Entrance” ensues with a sustained and flowing pattern that gives the composition an overall glistening, liquid-like effect, and is one of my favorite pieces on the album. Equally compelling is the aptly-named “Each Quiet Sound”, which conveys a sense of comforting solitude. Minor-key and subtle throughout, it’s easy to envision a lone man playing his piano in the kind of spacious and dusky-lit hall so beautifully depicted by the album’s artwork with only a soft ray of light pouring in through the window. Next is “Between the Stars”, a piece that appropriately begins with a twinkling effect in the higher register, until gradually making its way down into the lower register where it seemingly coalescences. Following next is “Children’s Song”, a carefully-paced number that could perhaps be described as a ‘classical lounge’ type of number. “Breeze from the Courtyard Garden” then ensues at a slower pace with stark opening chords that give way to deeply resonating notes throughout. “Bells and Dwindling Light” begins with slowly repeating bell-like notes in a quietly understated fashion, with additionally solemn chords eventually lending more fullness to the composition. Next, “Six Hundred Year’s” comparatively lightens the mood a bit with its warmer essence of gentle brightness. “Elegy” continues along in this mode, adding fuller and bolder chords that ripple and resonate throughout. Upping the pace up even more, “Kindness” is perhaps the most dramatic and upbeat piece on the album, showcasing a gently galloping quality along its course that eventually comes to a gentle close. Quieting things down is “Weightless Timeless”, a more minimal piece characterized by piano droplets and sparse chords that effectively convey a feeling of suspension and formlessness. And finally, “Love Song” concludes the album with a warmly radiant melody that’s a bit more straightforward and simple. 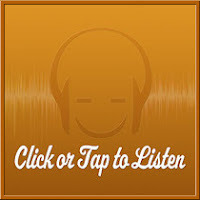 To listen to Aural Awakenings on your mobile device, please install the Mixcloud app for our one-hour shows and any of the other apps below for our 24/7 station! 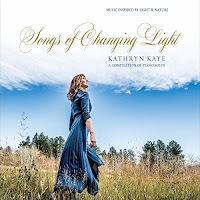 Kathryn Kaye is a pianist and composer who has previously released six albums. Her seventh album, Songs of Changing Light, is a collection of thirteen solo-piano works from her past releases of which prominently feature subtle ensemble arrangements. Characteristically gentle, reflective and softly-lit while occasionally basking in the shade of more shadowy atmospheres, Kathryn’s music mostly revolves around themes of nature, changing seasons and the passing of time. As with her previous albums, Songs of Changing Light was produced by Will Ackerman and co-produced by Tom Eaton along with herself – and likewise recorded at Will’s own Imaginary Road Studio in Vermont. Opening the album is “Winter’s Deepest Sleep”, a lovely piece that begins with a moderately-paced melody while injecting thoughtful pauses along way. Although its title may allude to a cold winter’s night, the piece feels quite comfortingly warm and more akin to that of cozying up by a fireplace. On “Summer Afternoon” Kathryn’s left-hand moves at a waltzing pace, while her right-hand employs softly tinkling notes up-and-down the keys. Gentle and leisurely with a lightly-swaying motif, one might aptly imagine rocking on a swing or hammock on a summer afternoon. “Taos Song” is a contemplative tune that showcases bolder chords with smoothly rounded edges, while “Heavy as a Feather” exudes a lightly-dancing quality with a gentle touch of wistfulness. Possessing more neoclassical underpinnings, this piece is one of my favorites. The introspective yet softly buoyant “A Rose in Winter” opens with delicate keystrokes in the upper register, until mid-range chords join in towards the midway point. Comparatively, the elegantly understated “Distances” resonantly hovers in the lower register and is another one of my favorites; its title may either or simultaneously refer to distances of land or the space between two people. “Dreaming Still” nicely follows it up with an equally introspective and slower-paced melody. Ensuing next is “A Lark in the Last Light of Day”, which starts off rather cautiously, before unexpectedly bubbling over with radiantly resonating chords that soon revert to the piece's original motif. “Willow Waltz” could easily allude to a willow trees’ branches gently swaying in the wind. Similarly, the drifty notes and rolling undercurrent of “Adrift in Fading Light” (another favorite) might suggest a sailboat slowly drifting over the horizon. “So Much Sky” feels more open and outward-flowing with a melodically colorful range. It’s followed up by “There was a Time”, which imparts a reflective and tender mood with a touch of sentimentality. And finally, “Frost” perfectly concludes the album as another one of my favorites. Here, Kathryn plays a lightly drifty melody with her right hand in the upper register, while employing a gentle give-and-take maneuver of her left hand in the lower registers – overall creating a shimmery effect like that of moonlit snow. For more information please visit the artist's website. This album is also available at Amazon, iTunes, CD Baby and Google Play. Byron Metcalf is a master world-percussionist whose music I’ve enjoyed immensely for many years. 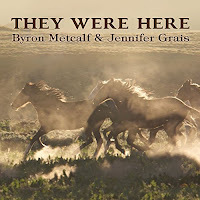 On They Were Here, he teams up with fellow shamanic practitioner and vocalist, Jennifer Grais, with whom Byron first recorded and performed, in collaboration with Steve Roach on his 2004 album Fever Dreams II. Comprised of seven compositions spanning a little over an hour, They Were Here explores the bonds that have long existed between horses and humans – paying musical homage “to the eternal spirit and mystical healing abilities of these treasured (but quickly disappearing) icons”. Like the very nature of these beautiful creatures that inspired it, the album’s musical essence is elegant, mysterious and powerful – as fervent trance-shamanic drumming melds with atmospheric textures and the often-sound of horses running wild. Jennifer’s resounding voice possesses a gothic-tribal quality that's stylistically similar to Lisa Gerrard – with her expressively soulful wordless singing and seemingly extempore ecstatic chanting serving as the perfect complement to these deeply immersive, organic-electronic soundscapes. The title track, “They Were Here”, unfolds gradually like epic moving images in slow motion. Within just the first two minutes of hearing the piece I can tell that the rest of what lies ahead on this album is going to be phenomenal. 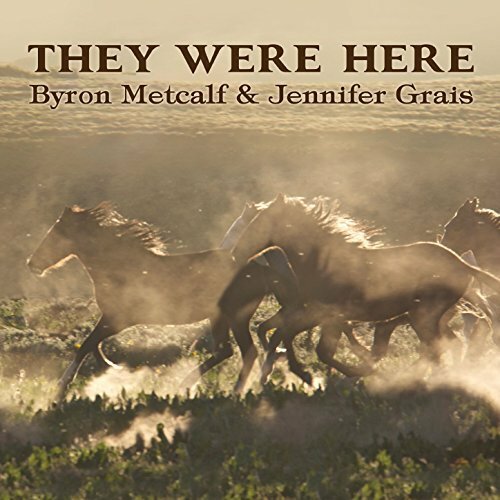 Byron lends earthy, polyrhythmic percussion that envelops the listening space, while Jennifer’s invocation-like vocalise feels both transcendent and primal in nature – as if seemingly carried by the wind. Subtle didgeridoo further grounds the listening environment on the one hand, while suspended atmospheric chords effectively lend it an intangible ethereality on the other. “Opening to Freedom” – one of my favorites – considerably revs up the pace with deeply reverberating shamanic drumming, rhythmic shakers and cavernous vocal intonations. “Soul of Mestengo” comes bursting forth with fiery drums that seemingly rise from below into an upwards climb and vibrate throughout every fiber of the listener’s being. Another favorite, “Near & Far Away”, is comparatively slower-paced and guided along by a gentle yet powerful rhythm. Likewise, Jennifer sounds more softly supernal here, as if turning our attention more towards the sky. “Womb of the Serpent” is perhaps the most darkly dynamic piece on the album. Conveying an ancient, ritualistic essence, its potently encompassing rhythm seemingly echoes throughout a vast chamber, as Jennifer delivers some of her most intensely seraphic and spontaneous ecstatic chant. The aptly-titled “Run” exudes an air of freedom and wild instinct – employing a fast-cycling rhythm that brings-to-mind horses majestically running in open terrain. “Song for Solo” perfectly concludes the album with spacious chords and nocturnal sounds, as softly sparse drums echo like thunder in the distance. Here, Jennifer’s mesmerizing intonations effectively soothe and center, as if one is being gathered into a metaphorical calm within the eye of a passing storm. For more information please visit the artist's website. This album can also be purchased at Bandcamp, Amazon and iTunes. Named for one of the earliest advanced civilizations of North America, “The Ansasazi” (meaning “Ancient Ones”) is characterized by a moving blend of classical and contemporary motifs accentuated by glistening chimes, native-style flute and Rebekah’s dreamy vocals soaring above a majestic soundscape. 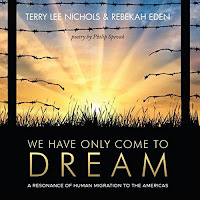 Following next is the title piece, “We Have Only Come to Dream” , which draws its inspiration from the Aztec culture of Mexico that was once part of the greater Mesoamerican civilizations (that also included the Maya). Rainforest sounds comprised of waterfalls, birds and insects form the backdrop to gentle piano notes – eventually evolving into a symphonic motif in tandem with angelic vocals. The ensuing “1492” denotes the year of the first Spanish-based transatlantic maritime expedition led by Christopher Columbus. Pristine, dramatic and darker-toned, the composition brings-to-mind the iconic 1992 soundtrack, 1492: Conquest of Paradise by Vangelis, which accompanied director Ridley Scott’s movie of the same name. The storyline continues with “Conquistadors”, of which also sounds somewhat Vangelis-esque, as the piece seemingly evokes powerfully moving images in slow-motion. Named for the Spanish conquerors of the Americas whose genetic seeds would eventually merge with that of many Native populations, this turning point in history has always been of enduring interest to me – perhaps because it’s so integral to my own. 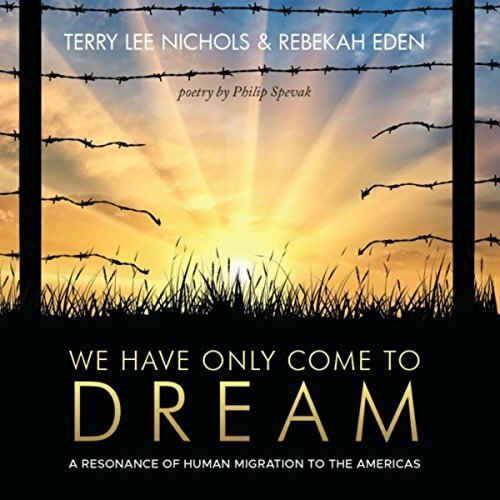 For more information please visit the websites of Terry Lee Nichols and Rebekah Eden. This album can also be purchased on Amazon, iTunes, CD Baby and Google Play.